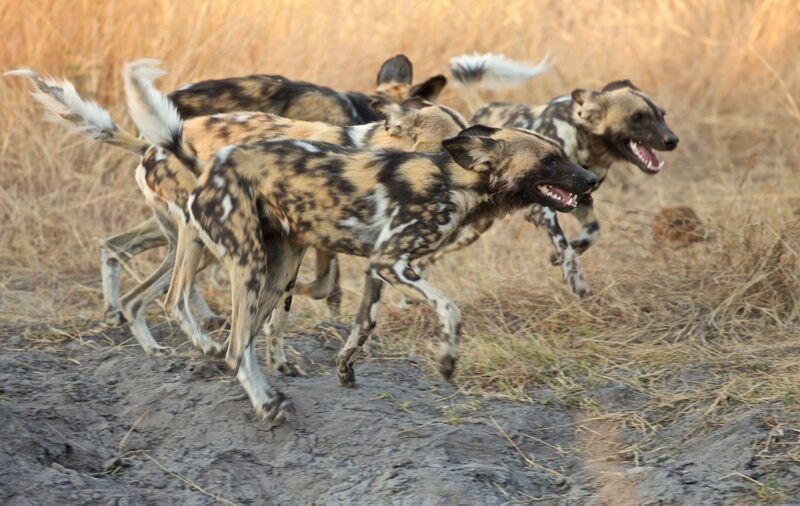 It mainly operates in the Okavango Delta region, a globally important freshwater wetland in northern Botswana, and has expanded its remit to protect all the area’s large carnivores – wild dog, cheetah, leopard, lion and spotted hyena. Research into carnivore ecology and behavior is now complimented with community-centred interventions to reduce conflict with livestock farmers and raise awareness of conservation and environmental issues. Rigorous research underpins the approach of the BPTC, with field data from radio collars and direct observations carefully analysed to inform conservation planning and the activities of Botswana’s Department of Wildlife and National Parks. Several lines of enquiry are aimed at developing innovative ways to control or modify predator movements based on biological cues such as scent marks. BPCT’s community initiatives also use new and exciting techniques such as teaching conservation (Conservation 4 Change) through football and linking livestock compensation schemes to the use of established anti-predation measures. Tusk has supported BPCT since 2008, often providing grants for aerial surveys. We also funded the Shorobe Livestock Insurance Initiative, involving(modest) investment from the participants and incentives to minimise predation risk, to supplement the government compensation programme for livestock losses to large carnivores. Tusk funds covered costs including vehicle operation, aircraft tracking, salaried positions, boma construction, insurance pay-outs, a computer, and daily admin expenses. The BCPT provides both crucial information on carnivore conservation management and pioneering methods for addressing human wildlife conflict. Its continued support is vital to addressing these urgent issues. With your generous support, Tusk can, and will, continue to make a lasting difference for the wildlife and people of Africa. More than 80% of your donation will go directly towards the cause. We would love to keep you up to date with news from our projects, events, fundraising campaigns and more. Please join our mailing list to receive our news by email. Copyright © 2019 Tusk. All Rights Reserved. Tusk would like to acknowledge David Yarrow, Tusk’s affiliated photographer, for lending his images for use throughout this site.